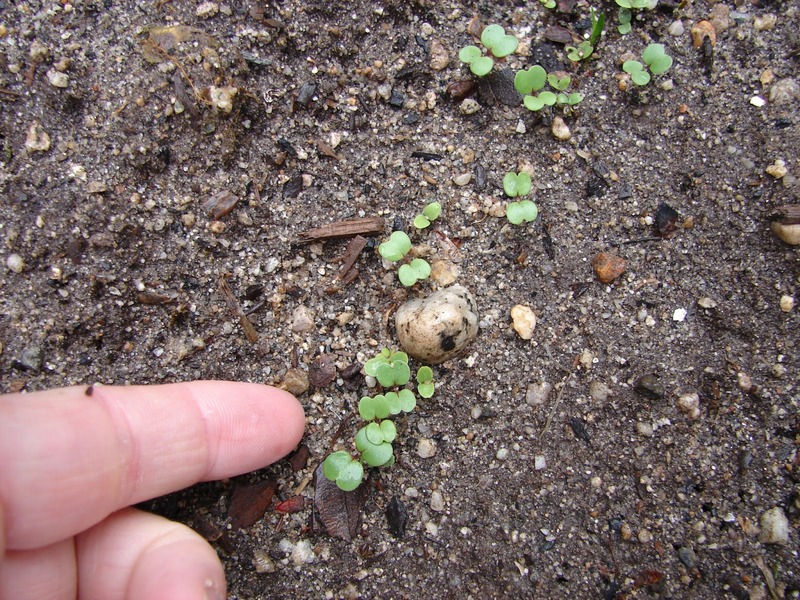 New Utah Gardener: What Does "Germination" Mean? Germination is "the development of a plant from a seed or spore after a period of dormancy". In other words, it is when a seed "sprouts" and starts to send up stems and leaves. This process is activated in response to moisture and warmth. That's why we have to wait until spring to plant most seeds in the garden - the soil needs to warm up and reach a certain temperature, or the seeds won't sprout. Most seed packets mention germination in the planting instructions. You might see something there about "soil temperature needed for germination". Garden centers sell soil thermometers so you can take the temperature of your soil. There might also be something about "days to germination". 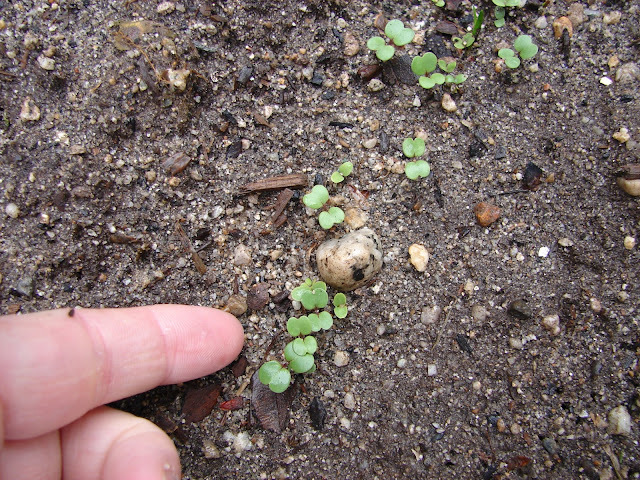 Days to germination is good to know because if it takes two weeks, you won't be worrying and wondering why you don't see the seedlings coming up. In a nutshell, the warmer the soil is, the faster the germination will happen! And if your soil is dry, you will need to keep it moist. germination - when seeds sprout!